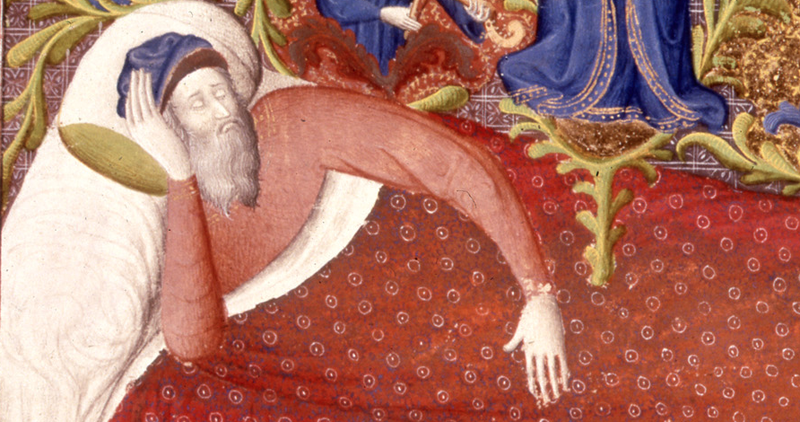 How did people sleep in the Middle Ages? It seems normal that people go to sleep for seven to nine hours (or at least we hope we can sleep that long), straight from evening to morning, but was that always the case? A recent book on the history of sleeping shows that during the Middle Ages people typically slept in two periods during the night. Roger Ekirch’s book, At Day’s Close: Night in Times Past, reveals that until modern times, when artificial lighting allowed us to stay awake longer, most people would go to bed around sunset. The actual time spent sleeping was split into two phases – known as first sleep and second sleep. Both phases of sleep lasted roughly the same length of time, with individuals waking sometime after midnight before returning to rest. Not everyone, of course, slept according to the same timetable. The later at night that persons went to bed, the later they stirred after their initial sleep; or, if they retired past midnight, they might not awaken at all until dawn. Thus, it ‘The Squire’s Tale’ in The Canterbury Tales, Canacee slept “soon after evening fell” and subsequently awakened in the early morning following “her first sleep”; in turn, her companions, staying up much later, “lay asleep till it was fully prime” (daylight). Not everyone slept in two periods – Ekrich cites some people from the pre-modern period who note that they would sleep throughout the night. But does seem to have been common practice for people, dating back to ancient times. In this interview on The Agenda, the author reveals more about the practice. In the bedroom, even at midnight. I wonder why you are so eager to jump so quickly out of bed, as soon as you’ve heard the signal, and to interrupt the sweet rest of sleep, while you could give yourself up to rest until the third signal. Verdon adds that medieval people could have the same problems related to sleeping that we do, including insomnia, sleeping too much, and even sleep-walking. The chronicler Jean Froissart heard the story of a noble named Pierre de Béarn who had a traumatic experience when he killed an exceptionally large bear in hand-to-hand combat. Afterwards, during his sleep he would rise, grab a sword and swing it around at the air. If he could not find his weapon, Pierre “created such noise and clamor that it seemed like all the demons of hell were there with him.” Eventually, his wife and children would leave him over the problem.